“A Chinese patient recently received a knee-revision surgery with the implantation of the first 3D printed tantalum knee joint in the world. Zhang Jingui regained mobility a day after he had received the surgery performed by doctors from the First Hospital Affiliated to AMU, a hospital in Chongqing municipality in south-west China. The 84-year-old’s knee joint was largely revised by the personalized implant. Incident of knee osteoarthritis among Chinese has reached 2.2 to 3.5 percent, the Chongqing-based website CQNEWS.NET reported. Every year, more than 400 people have knee-replacement surgery in the First Hospital Affiliated to AMU. Professor Yang Liu is the surgeon of the innovative surgery and the head of surgical department of the hospital. 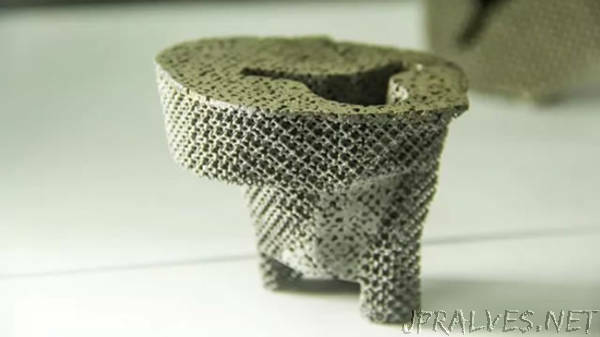 He dominates an implantation research project which belongs to National Key Research and Development Program of China, while collaborating with domestic companies to produce 3D printed porous tantalum joints. Personalized 3D printed implant has been a trending topic of technology during the past few years. So far metal implants are mainly made with titanium alloy, because the melting point of tantalum is too high to produce for most of the 3D printers on the market. Personalized 3D printed tantalum joints create better compactness, helping assure the initial stability of the implantation, simplify the surgery procedure, reduce the surgery time and risk of complication. In traditional knee replacement surgery, the surgeon selects an off-the-shelf implant from a range of standard fixed sizes. They then have to make the necessary adjustments to fit the implant to the patient during the procedure. An increasing number of Chinese surgeons are trying to introduce 3D printing technology to their patients.